With the R800 wireless Bluetooth headset, you can chat, rock and surf on your PC, tablet or smartphone--with no wires to tie you down. 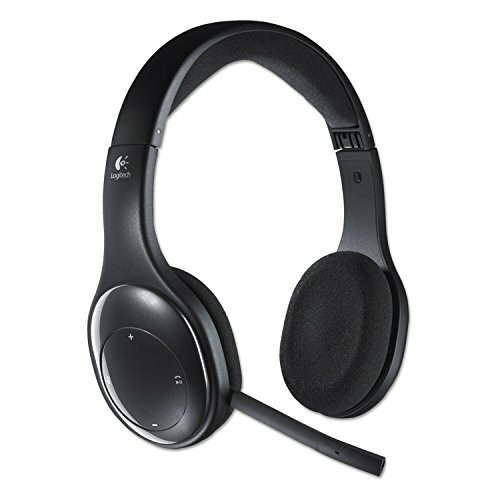 You can easily connect to and switch between devices with a full set of on-ear controls, the noise-canceling microphone reduces background noise and the laser-tuned drivers and a built-in equalizer give you rich digital stereo that immerses you in your music and calls. Plus, you can roam up to 40 feet (12 meters) from your PC using the tiny nano receiver, or pair with your smartphone or tablet using Bluetooth for even greater wireless freedom. Laser-tuned drivers minimize distortion, the built-in equalizer optimizes your sound and the noise-canceling microphone reduces background noise. On-ear headset controls are within easy reach. Listen and chat longer--wherever you are--with the six-hour rechargeable battery.